If you are among the 20 million people who subscribe to Apple Music and also own an Apple TV, then you have all the world's music available to explore, all packed inside your TV set. Here is everything you need to learn to get the best out of Apple Music on your Apple TV. Apple Music is a subscription-based music streaming service with a catalog of over 30 million tracks. For a monthly fee (which varies by country) you can access all that music, along with the popular Beats1 radio station, music recommendations, curated playlist collections, the artist to fan-focused Connect service and more. Available across every Apple device the service is also available for Android, the Apple TV, and with limited support for Windows. 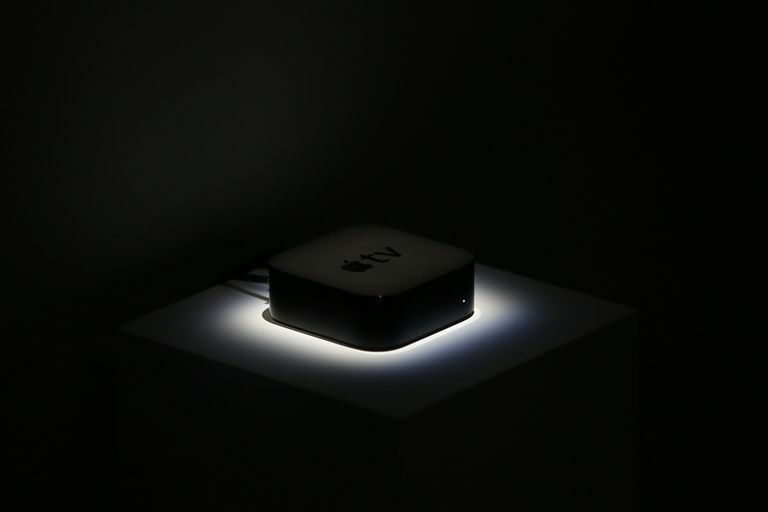 Apple’s latest Apple TV offers the Music app. The app lets you listen to all your own music through iCloud Music Library in the My Music section, and lets Apple Music subscribers access all the tracks made available through that service, including radio stations. Once you’ve subscribed to Apple Music you need to log into your Apple TV using the same Apple ID as used for your Apple Music account in Settings > Accounts. You can then enable the service on your Apple TV in Settings > Apps > Music, where you should turn on iCloud Music Library in order to access all your own music on the system. To listen to music collections that you already own and keep on the Macs and iOS devices you have at home you need to set the Home Sharing feature up. On a Mac: Launch iTunes and sign in with your Apple ID, then go to File > Home Sharing to turn the feature on. On an iOS device: Open Settings > Music, find Home Sharing and sign in with your Apple ID and password. On Apple TV: open Settings > Accounts > Home Sharing. (On older Apple TVs you need to go to Settings > Computers). Turn Home Sharing on and enter your Apple ID. Browse: Artist spotlights, curated collections, playlists, new music collections, editorially curated playlists, and more. Additional links to New Music, Playlists, Videos, Top Charts, and Genres are all hosted in the Browse section. Radio: Beats1 and a range of automated station playlists. If you look at the top of the screen you find additional sub-menus that lead you to featured content, Beats 1 shows and a selection of virtual 'stations, including charting now and more. Search: The place to look for specific material, both within your own collection and via Apple Music. Now Playing: Whatever music you are playing now. There are many other commands you can use, explore ‘44 Things You Can Get Siri to Do with Apple TV’ to find more. When music is playing through the Music app on Apple TV it will continue playing in the background while you navigate to other apps and content, including while screensavers are active. Playback stops automatically when you launch another app on Apple TV. To create playlists on Apple TV just play a track you’d like to add to the playlist, click while in the Now Playing screen and navigate your remote and click on the small circle that appears above the relevant song image to access the More menu. Here you’ll find a range of options, including Add to a Playlist. Select this and either add the track to an existing list or create and name a new one. Repeat this process for each song you hope to add to a playlist. There are several things you can do when you are playing music. To find these commands tap the 'Now Playing' section and scroll to select the artwork for the current track. If you are using a Playlist you should see previous and future tracks appear in the carousel view. You can pause tracks, or flick to the next track in this view, but the best commands are a little harder to find. Go to Album: Takes you to the album containing the current song. Go to Artist: Directs you to the artist info page relevant to the current song. Add to a Playlist: You choose which playlist to put the track in using the subsequent window. Play Next: This will let you choose a track to follow the current track. Create Station: Creates an automated radio station based on the current track. Dislike: Tap this button if you hate something that plays in order to prevent Apple Music suggesting similar tracks in the future. Speakers: Only useful if you have multiple speaker systems in place, this button lets you choose which speakers to use for music playback. If you have an older Apple TV model then Apple Music is not supported on the device and you won’t find an app for it. You can stream music collections held on other Apple devices around your home using the Home Sharing feature, but if you want to listen to Apple Music tracks you need to stream them to your TV from another Apple device using AirPlay. You won’t be able to use your Siri Remote to control music playback, which you must manage directly on the device you’re streaming content from. Swipe up from the bottom of your iOS device screen to open Control Center, locate the AirPlay button at the lower middle right of Control Center, and choose to AirPlay music from that device through the correct Apple TV.